Traditional music styles are sometimes lost on young players, but this has certainly not been true of bluegrass and old time music, where the youngest players are now performing with unprecedented artistry. Participation in youth instrument contests across southern Appalachia is at an all-time high, and young players are making the grownups pretty nervous in the adult categories as well. The members of the North Carolina-based Hot Trail Mix all honed their chops growing up at the region’s thriving fiddlers’ conventions and jam sessions. Now entering their twenties, Hot Trail Mix has developed a hard-driving style all their own. The group is led by the talented young musician Mason Via, of Patrick County, Virginia. Mason is the son of master bluegrass songwriter David Via, who started taking Mason to fFiddlers’ conventions and festivals before he could walk. Mason learned to play guitar from his father and his talented musical friends, including Rex McGhee, Ryan Cavanagh, Danny Knicely, and Nate Leath. Already a gifted songwriter as a teenager, Mason released his first album, Up, Up, Up in 2015, and the next year officially apprenticed with his dad in the Virginia Folklife Apprenticeship Program. His second LP, Looking for the Stone, was released in 2017 on Patuxent Music. Mason has assembled a gifted and energetic ensemble in Hot Trail Mix, including Zeb Gambill on mandolin, Grayson "Pinky" Tuttle on banjo, Nate Leath on fiddle, and Zachary Smith on bass. 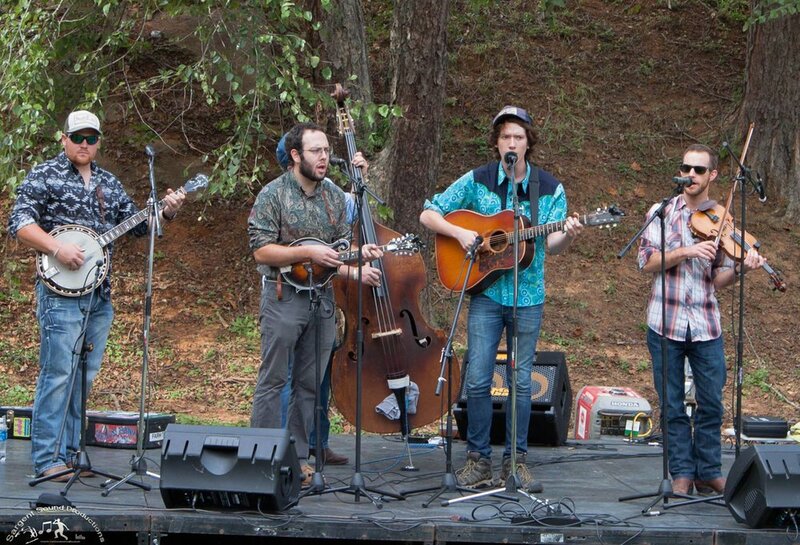 While only recently formed, the group has already delighted audiences at such prestigious bluegrass and Americana festivals as Wide Open Bluegrass, Floydfest, Merlefest, Shakori Hills Grassroots Festival, Roosterwalk, and the Watermelon Park Festival.